Stocks just closed out the best two-month start to a year in decades, as the S&P 500 has surged 11 percent in 2019. For investors looking to get in on the historic rally, one technician has three stocks you can still buy. "The theme here being stocks that have a history of growing their dividend – more quality stocks," Ari Wald, head of technical analysis at Oppenheimer, said Monday on CNBC's "Trading Nation." 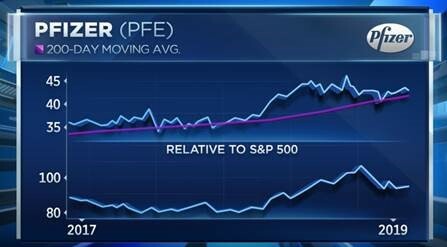 Wald first recommends health-care giant Pfizer, which has underperformed the S&P 500 off the December lows, up just 6 percent compared with the broader market's gain of 19 percent. However, Wald noted that the stock's ability to hold above its key 200-day moving average of late suggests it's a "near-term opportunity to buy long-term strength." Pfizer shares are up 19 percent over the last 12 months. Additionally, Wald is bullish on the marketplace exchanges, noting that from a technical standpoint shares of CME Group, which are down more than 5 percent year to date, are now showing signs of recovery. 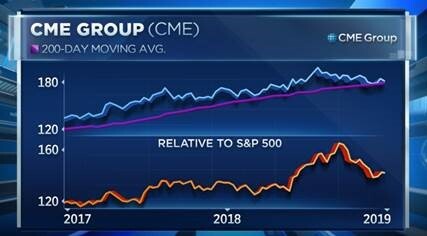 "We like security exchanges broadly and we would use this pullback in CME into its rising 200-day moving average again as an opportunity to build a position," he said. Wald looks to the industrial space as a third pick. 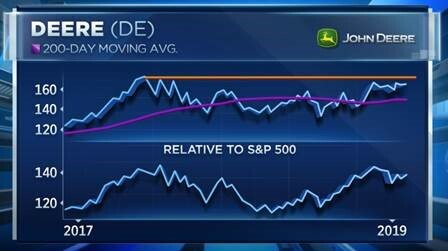 Industrials are up 18 percent this year, and the technician believes Deere could be set to race higher. The stock has rallied more than 11 percent this year and is up more than 20 percent off the December lows. "We want to own this one on a longer-term basis on the potential for a breakout above its peak levels from early in 2018," Wald said. "It could get ripped around with the market a little bit near term, but I think longer term you want to play for that break out — buy Deere." Gina Sanchez, founder of Chantico Global, advises investors to remain on the defensive in the current trading climate. She warns that while corporate earnings are predicted to stay strong and the temporary pause in rate hikes may appear to be positive catalysts, the underlying message suggests "the economy is not strong enough to continue hiking." Despite being the worst-performing sector this year, Sanchez also suggests the health-care sector as a safer way for investors to play the market. "You probably need to go looking for things that people absolutely must have and must spend their money on," Sanchez said. "Health care definitely qualifies as one of those."